How much can one really expect from a biopic on Britain's late Princess Di, a subject that is most definitely fear-to-tread in terms of everyone from the Royal family to Diana's devoted fans to us critics, who are always demanding 'new," "different" and "stylish" -- among so much else. Given that, DIANA, the film directed by Oliver Hirschbiegel's and adapted by Stephen Jeffreys (from Kate Snell's book) is thoroughly watchable, beautifully produced, with sets and accouterments to die for, and very well acted by Naomi Watts and Naveen Andrews (below) as the Pakistani doctor with whom Diana falls in love. The hook here would seem to be that Princess Di used the media as much it used her, and in fact, helped cover up the affair by the literally allowing/helping that media to publicize her much less important (but consequently much better known) liaison with Dodi Fayed. Interesting theory -- to which the film gives some credence via a well-detailed, fictionalized look at the affair from the viewpoint of Diana, the doctor and his own extended family, and the media (the Royal family is noticeably left out of the picture). The result is an OK bio-pic, given the ramifications of the genre. You can certainly call it a time-waster or guilty pleasure, but if you're the kind of person who had much interest in the Princess of Wales, you'll probably stick it out to the end. (TrustMovies stuck it out -- and he did not have much interest in the woman.) 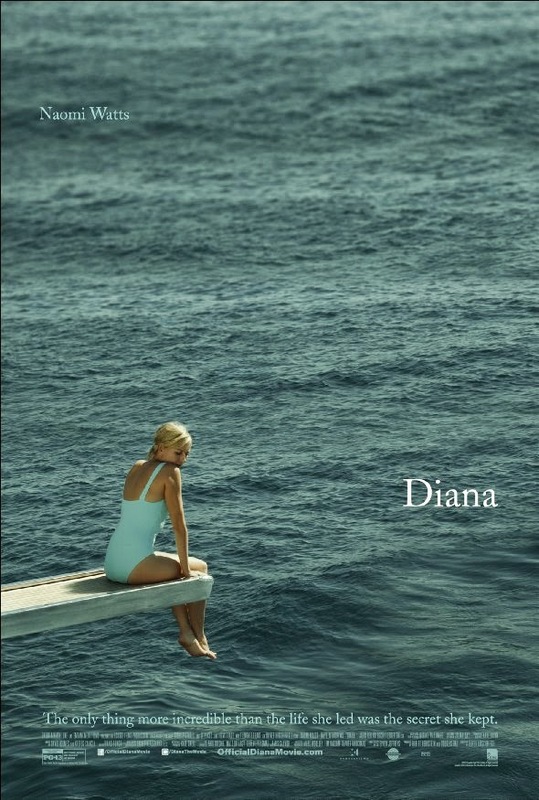 You can stream Diana -- running 113 minutes -- now on Netflix and elsewhere and the film is also available on DVD and Blu-ray.